A courageous Tennessee mom made the selfless decision to carry her baby to term, despite the fact that doctors were assured her child would not live more than 30 minutes. Her reasoning? To have her baby’s organs donated to other children who are in grave need of a transplant. 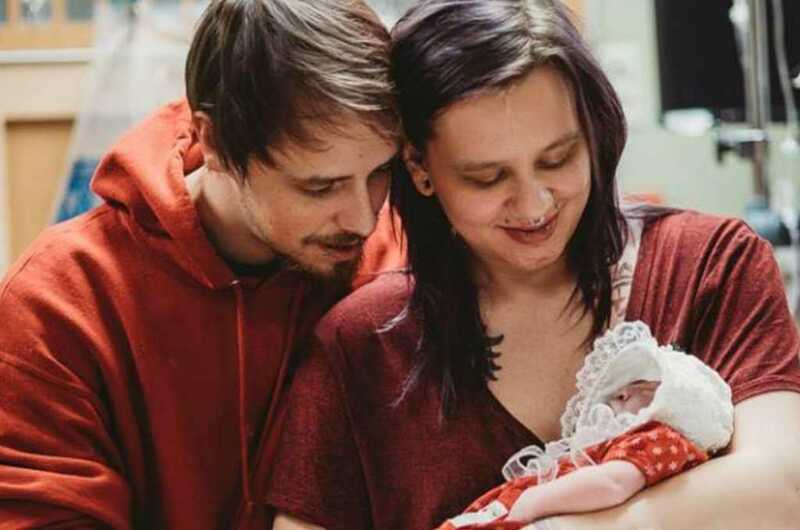 Krysta Davis, 23, was 18 weeks pregnant with her baby daughter, Rylei Arcadia Diane Lovett, when doctors delivered some heartbreaking news – Rylei was suffering with a rare condition called anencephaly, which causes parts of the brain or skull to stop developing. Davis and her boyfriend, Derek Lovett, 26, were told that it would be impossible for Rylei to live outside the womb. “It was definitely shocking. It was a huge heartbreak knowing that we’d miscarried previously and were having complications with this pregnancy. It was really hard to take in,” David told People magazine. Physicians presented the couple two options: induce labor or carry the baby to term and donate her organs to be used in life-saving treatments for the benefit of other children. “There was no outcome where she would be able to survive on her own for very long if at all,” Davis explained, adding that the couple was determined to help other kids who were longing for a second chance in life. “We decided that even if we couldn’t bring our daughter home, no mother would have to go through what we were going to go through,” she said. Incredibly, after Rylei was born on Christmas Eve, she exceeded all expectations and survived for an entire week. “It was absolutely amazing going from knowing we were maybe gonna get 30 minutes with her at most to having a week with her was more than we could have ever expected or imagined,” she added. Following her death, Rylei’s heart valves were donated to two children, and her lungs were given to a research hospital, which will use them to better understand the devastating condition of anencephaly. “It warms our hearts to know that [Rylei’s life] will give two other babies a second chance at life,” she said.